I feel like I would have enjoyed a film like The Imitation Game more ten years ago than I do now, as strange as that may sound. It isn't an issue with mental maturity or personal growth that makes me believe this, it's more a form of cinematic fatigue that I only began to notice relatively recently. I used to complain that critics were too negative, that they couldn't have fun with films, but in recent years as I screen more and more of the releases each year I finally get it: when you watch everything, the fact that something is bland and painfully familiar is impossible to ignore. It isn't that The Imitation Game is a bad film, it isn't. In fact, I can't really put my finger on what was technically wrong with it except that it just felt so mundane and uninspired, which is a shame considering the story it was trying to tell is so damn potentially fascinating. 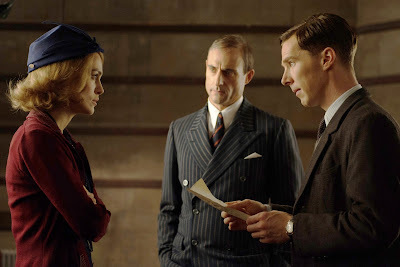 Benedict Cumberbatch plays Alan Turing, the brilliant genius inventor of the modern computer, and the focal point of the film revolves around his attempts to build a machine capable of cracking the German code called Enigma. Unfortunately my focal point wasn't allowing the remarkable true story to pull me in and captivate me for two hours, but rather to make sure I kept my eyes open throughout. This film is ripe for becoming an ideal source of background noise while I nap. Everything that has grown tiresome about the playing it safe biopic was present here. The unlikable genius lead who rubs people the wrong way with their social awkwardness. The group of men he surrounds himself with who initially can't stand to be near him, but after time they become friends. The female character who is drawn to his genius even though his social awkwardness makes him a tough nut to crack. Hell, the tone and overall vibe of The Imitation Game feels as if it was literally lifted from films like A Beautiful Mind and the other very similar work from 2014, The Theory of Everything. The Imitation Game is well made, it is performed beautifully, and it features a musical score by the amazing Alexandre Desplat that rivals anything else I have heard from last year. In fact, I would have had a beautiful experience had I merely closed my eyes, laid back and listened to the magical score by itself. Despite everything it does right, I am left feeling so underwhelmed by the picture as a whole. 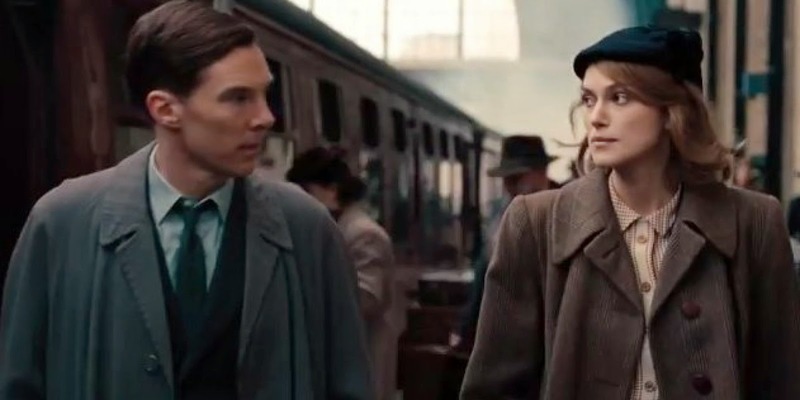 Considering the critical acclaim and award recognition, The Imitation Game might be my biggest disappointment of 2014. It is absolutely an imitation of A Beautiful Mind, without a doubt. Exactly my problem with these type of films, I need something fresh or inventive about it or I just end up feeling the fatigue of the familiar. Glad to have you back, I appreciate it Donna!